Rubén* left Honduras with a caravan of migrants in late January. 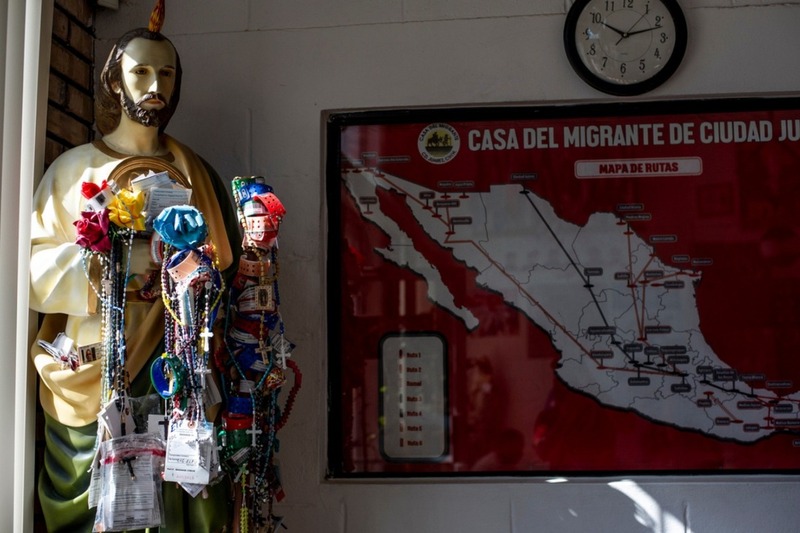 After two weeks of travel across Mexico in his wheelchair, he made it Piedras Negras, where Mexican officials locked him and other migrants in an abandoned body bag factory. He finally made it to the border thanks to a humanitarian group in Juárez, where I met him in late February. He is now in a plains state, where he is trying to find a lawyer to take his asylum case. He stands a good chance of obtaining asylum — he and his family were directly threatened by gang members after they murdered Rubén's step brother. "We will kill you one by one," the gang members told Rubén and his father. Rubén recently had two surgeries to address issues related to his paralysis, which was caused by a motorcycle accident 10 years ago. He needs money both to pay a lawyer to take his case and for his medical bills. Migrants who obtain a lawyer are five times more likely to obtain asylum, which is a group I'd like to see Rubén become a part of. When he crossed the border, the agents told him, "We don't want you here. You can't work," because of his disability. "If I go to Honduras, no one will give me anything. I have to work," they said. “Pedir es fuerza y dar es voluntad,” Rubén replied. "Asking is strength and giving is will." *Rubén's name has been changed to protect his and his family's identities from the threat of retribution from the gang that has threatened them.